How is a debt classified as secured, unsecured, priority, or administrative? A secured debt is a debt that is collateralized by property. 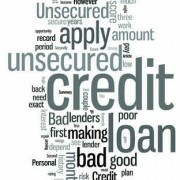 A creditor whose debt is “secured” has a right to foreclose or take property to satisfy a “secured debt.” For example, a mortgage loan is likely “secured” by a Debtor’s home. This means that the lender has the right to foreclose upon and take the home if the Debtor fails to make the loan payments. An unsecured debt arises when you promise to repay someone a sum of money at a particular time, but you have not pledged any property as collateral for the debt. 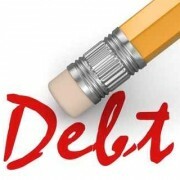 A priority debt is a debt entitled to priority in payment, ahead of other debts. Please refer to 11 U.S.C. §507 of the Bankruptcy Code for a listing of such priority claims. An administrative debt is a category of priority debt. Generally, it is created when someone provides goods or services to your bankruptcy estate after you file your petition. An example of an administrative debt is the fee charged by an attorney or other authorized professional for services rendered after the bankruptcy case has been filed. http://tampabaydebtrelief.com/wp-content/uploads/2011/03/image-110.jpg 312 312 Law Office of Thomas Nanna /wp-content/uploads/2015/05/LOGO-CROPPED-Custom.png Law Office of Thomas Nanna2011-03-26 16:17:312015-05-17 21:12:53How is a Debt Classified? Are collectors calling? You can finally answer your phone after you file bankruptcy. Are you having trouble sleeping? 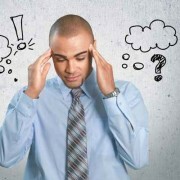 Financial troubles can cause all sorts of ailments, the most common of which is sleeplessness. The anxiety created by the inability to pay bills and the embarrassment of having to talk to bill collectors at work, make it difficult for many people to fall asleep or to sleep through the night. Are you using one credit card to pay another? This increases your balances and will not allow you to ever become debt free. Do your credit balances never seem to get smaller? Make bill problems go away. Learn how bankruptcy can provide debt relief. Do you have too many bills? Take control of your finances by filing bankruptcy. 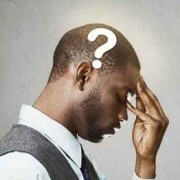 Are you being threatened by lawsuits, garnishment, foreclosure or repossession? Bankruptcy prevents or stops creditors from taking action. Have you experienced a reduction in income, medical bills, illness, loss of job, disability, divorce or repossession? Bankruptcy can be the solution. Do you only pay the minimum credit card payments? This increases your balances and will not allow you to ever become debt free. Do you have to sacrifice basic necessities just to keep food on the table? Then it is time you obtain a fresh start and start to enjoy life. Is your home threatened by foreclosure? Bankruptcy can prevent a foreclosure from being filed and can stop a foreclosure. Further, we can force the mortgage holder to allow you to cure the mortgage arrears over a period of five years. Bankruptcy is alive and well! Regardless of what you may have heard in the media, the new bankruptcy law that became effective in 2005 does not mean the end of bankruptcy. 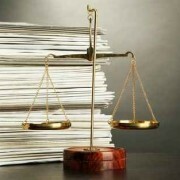 The substantive rights that existed under the old law still exist under the new law. You would not be reading this unless you are in deep financial trouble. Please know you are not alone. In 2005, over two million Americans put their problems behind them by filing bankruptcy. 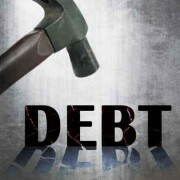 There are many people, just like you, who can not sleep at night due to overwhelming pressure from debt. If you need help getting your financial affairs in order, and are looking for a fresh start, you may want to consider filing for bankruptcy. While bankruptcy is not for everyone, at times it is the only way. Different bankruptcy options exist, and it is possible for you to file bankruptcy and not lose any of your possessions. Even if you are in foreclosure, it may not be too late to save your home. Even the hardest workers and the most diligent bill-payers can find themselves with more debts than they can pay as they become due. In such cases, filing bankruptcy may provide a solution to what seems like an insurmountable problem. If you or someone you know is facing serious financial challenges, it is very important to seek the counsel of an experienced bankruptcy attorney. 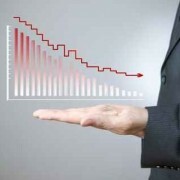 Bankruptcy has evolved into an accepted method of resolving serious financial problems. The bankruptcy attorney’s goals are to help debtors get out from under formidable debt, obtain a fresh start and emerge as productive citizens. 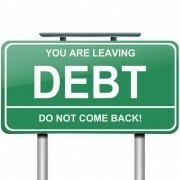 If you are unable to become debt-free in the near future, you must make an important decision. Either you can continue to keep you and your family in poverty, with no signs of financial freedom. Or, you can take immediate control of your financial destiny and take advantage of a legitimate solution to eliminate your debts and enjoy a debt-free life. This should be an easy decision.